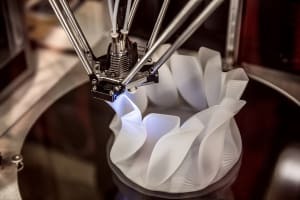 Additive manufacturing (AM) has been around for a few decades, but it is still far from mainstream adoption. However, recent advances in software, hardware and services have led to an uptake in the use of the technology. While AM isn’t going to replace conventional manufacturing anytime soon, there are scenarios and applications where it is more advantageous to make a part additively than with traditional methods. Unfortunately, the industry is fragmented and there are gaps in the AM workflow. Efforts are being undertaken to bridge these gaps and make it easier for the user to evaluate and adopt AM. Join us for an overview of the industry, how to get started, and how to prepare your organization to get the maximum benefit from AM. Where AM is useful and what advantage it has over traditional manufacturing. How an organization can start with AM, including what the considerations and challenges are, and what skillsets are needed. How to bridge the gap between design and AM. Nihal Velpanur is a CAD Product Manager for the Creo portfolio at PTC. He currently works with the following solutions: AM, generative design, design collaboration, and materials. Nihal has a strong background in AM, as a founding member of the desktop 3D printing company Brahma3 and through researching the AM industry for the last four years. This includes studying the trends, technologies, business models, and implications on strategy and competition. Nihal earned a Master’s degree in Engineering Management from Dartmouth College. Want more great technical education? Join 6,500+ tech innovators at LiveWorx 2019, June 10th - 13th, 2019 in Boston, MA. Stay on top of important trends like AM, Digital Engineering, IIoT, AR/MR/VR, Cloud, blockchain, and many more in 240+ breakout sessions featuring 150+ industry thought leaders. Want to know more? Check out the LiveWorx website for more details. Your attendance at this webinar is sponsored by LiveWorx. To watch, please complete the form on this page.